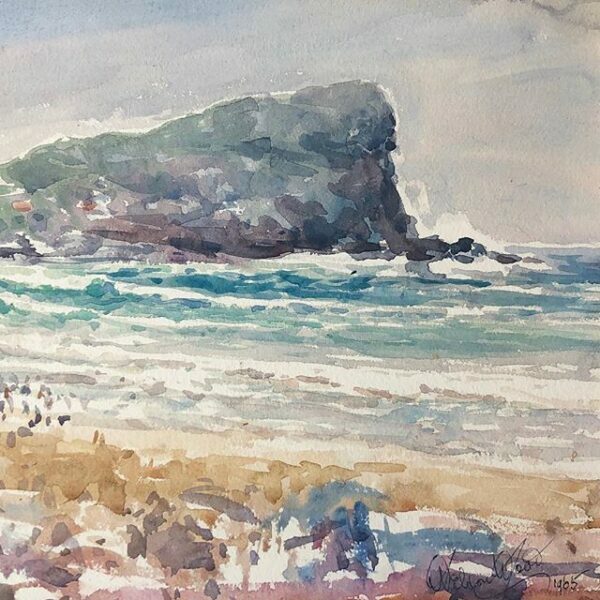 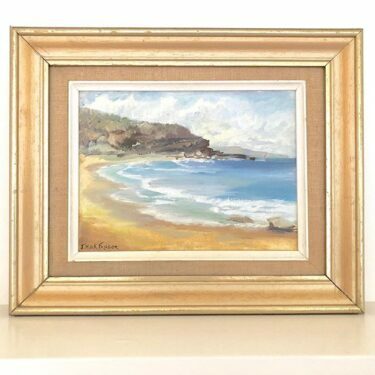 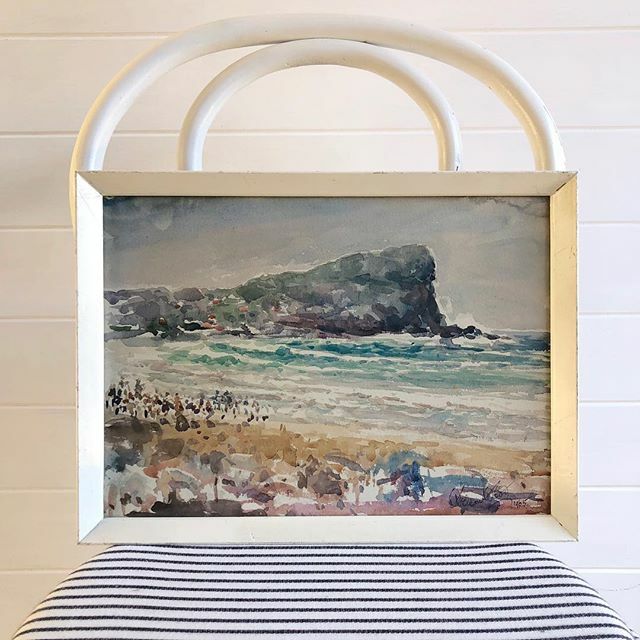 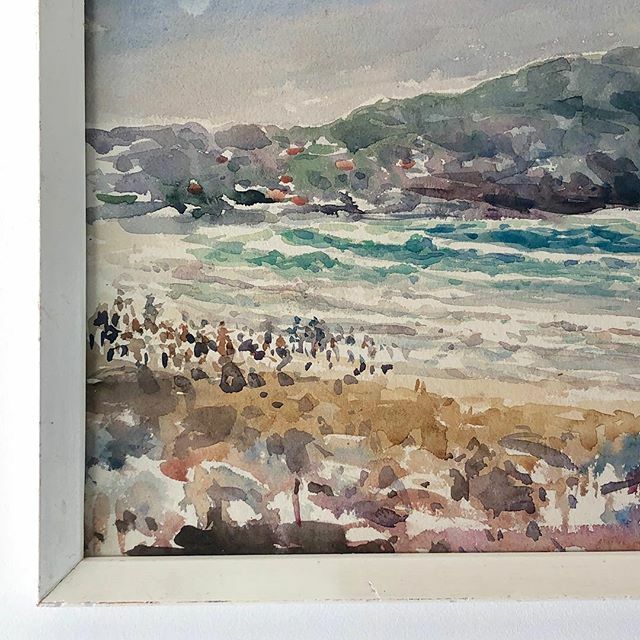 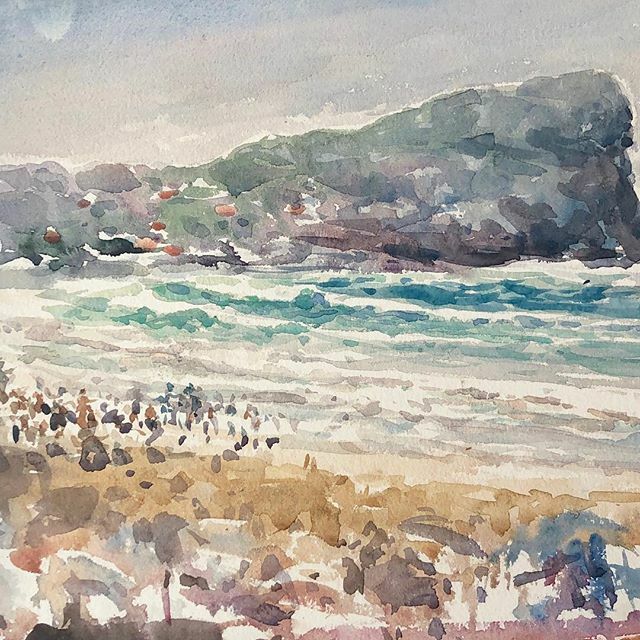 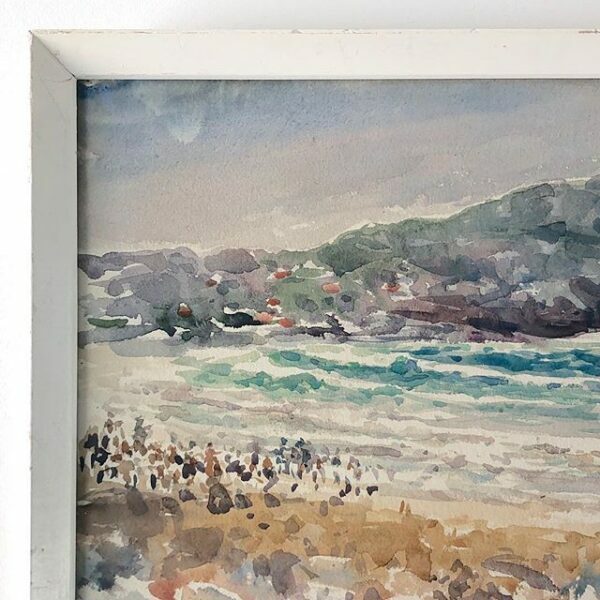 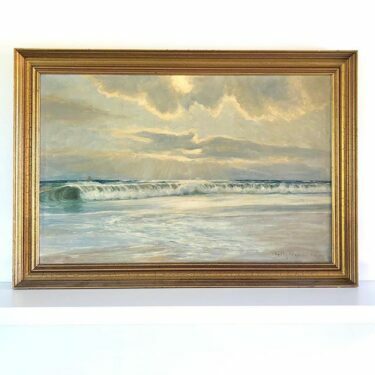 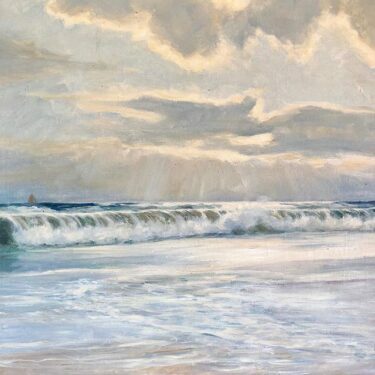 This beautiful water colour beachscape painting has swiftly painted brush strokes that capture the light & effervescent atmosphere of a summers day on an Australian beach. 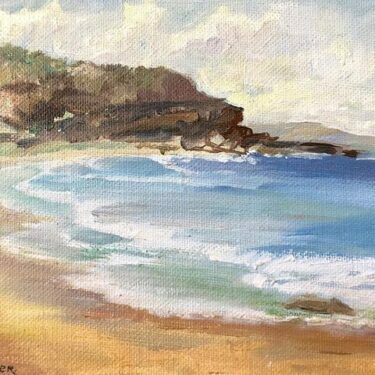 The beach looks very much like one of Sydneys northern beaches, with its decent swell and green covered headland. 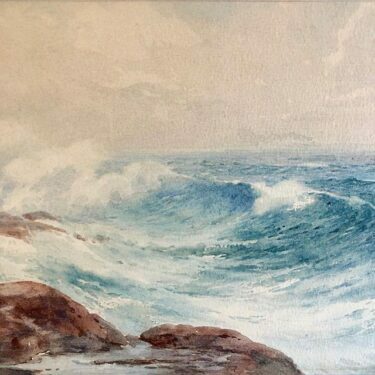 Signed & dated lower right: Weldon Wood, 1965. 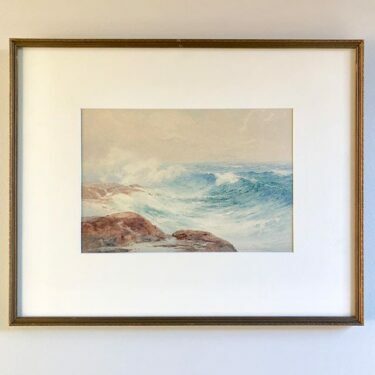 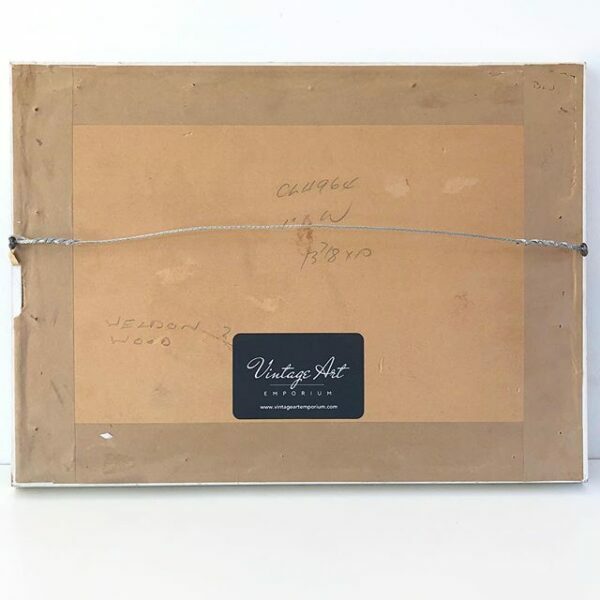 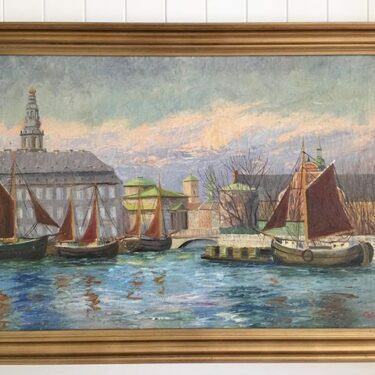 In its original white wooden tapered frame, behind glass.